The state of Alaska is the largest state in the U.S. by total area, yet ranks 47th in total population with just over 730,000 residents. To put it in perspective, the city of San Francisco has almost as many residents. The area that would become Alaska was first purchased from Russia in 1867 at a steal of a price of $7.2 million, though the move was initially unpopular with the people. 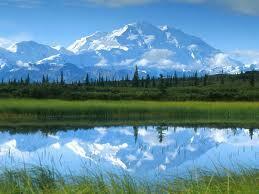 Alaska would not turn to gold until oil was found in abundance beneath the Alaskan tundra. Settlers and prospectors flocked to Alaska in droves to seek their fortunes. Today, Alaska is one of the largest producers of crude oil in the United States and is also known for its mining and agriculture exports. In 2008, Senator John McCain selected Alaska Governor Sarah Palin to be his running mate, but they lost the election. A year later Mrs. Palin quit the governorship during an ethics investigation barely halfway through her first term. But she looks marvelous … and isn’t that all that really matters? Transporting a vehicle to Alaska will need to be done via overseas auto transport. The reason why is because there are no carriers that will run routes through Canada into Alaska, as it is so expensive and very much cost-prohibitive. Auto transport carriers would be hit with duties and taxes both entering and exiting Canada. Therefore, the only way is via overseas, which can be a bit tricky. Your auto transport representative will find a carrier to transport your vehicle from the pickup location to the port, usually in Seattle or Tacoma, where the car shipping carrier will deliver the vehicle and the port shipping company will take control of it. The port auto shipper will then put your vehicle onto a secured roll-on/roll-off auto transport barge and ship it up to the port in Anchorage. Fairbanks is also an option, but that is typically more expensive. If you’re interested in transporting your vehicle to the state of Alaska, you can fill out our free online car shipping quote form and get an instant auto transport quote to ship in the continental USA to or from Seattle or Tacoma, but that’s it. Sorry. You will need to find another way to get your vehicle from Anchorage to Washington. Wish we had better news.